Reflecting on what one is grateful for not only tends to lower materialism, but also increases one’s generosity, says new research co-written by Gies College of Business professor Aric Rindfleisch. CHAMPAIGN, Ill. — A new paper co-written by a University of Illinois expert in consumption values finds that fostering gratitude can be a promising strategy for decreasing materialism in adolescents. The results of a multimethod inquiry involving more than 900 adolescents suggest that keeping a gratitude journal translated into donating 60 percent more money to charity compared with those in a control group. 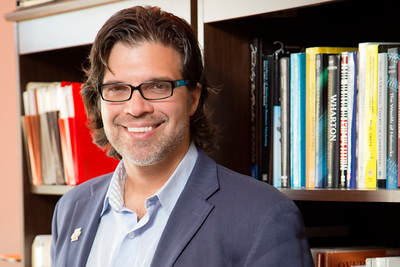 The study shows that encouraging gratitude not only decreases materialism and its attendant negative social consequences, but also has the additional benefit of increasing generosity toward others, which is often in short supply in adolescents with a strong materialistic bent, said Aric Rindfleisch, a professor of business administration and the John M. Jones Professor of Marketing at Illinois. “Our idea here was to ask ‘Are there different ways to approach materialism other than a simple prevention strategy?’” Rindfleisch said. “Research suggests that materialistic values are formed at an early age, so by the time a child is 7 or 8 years old, those values are formed, and they’re very hard to change once they’re established. Rindfleisch and his co-authors conducted two studies to test their hypotheses about the interaction of materialism and gratitude. In the first study, a nationally representative survey showed that, across a wide swath of demographic groups, children and adolescents with a grateful disposition tended to be less materialistic, suggesting that gratitude was a reliable predictor – and also a potential disruptor – of materialism. In the second study, evidence showed that keeping a gratitude journal significantly reduced materialism among adolescents and also attenuated materialism’s negative effect on generosity when participants were asked to donate real money earned from taking part in the study to charity, according to the paper. An alternate strategy could be asking children to reflect on the things they’re grateful for, Rindfleisch said. Reflecting on what one is grateful for not only tends to lower materialism, but also increases one’s generosity, Rindfleisch said. In the domain of positive psychology, gratitude has been shown to have many beneficial effects, Rindfleisch said. “Fundamentally, if you look at why people become materialistic, a lot of evidence suggests it’s a response to some form of insecurity – personal, social, economic and even existential insecurity,” he said. “If you’re insecure, one thing you can do is make people more secure. That’s what gratitude does. If you’re grateful for something and reflect on that, if you feel that ‘I’m not alone, and here are some good things people have done for me,’ it increases your self-esteem and reduces some of this insecurity. Despite decades of research, there are few viable strategies for curbing materialism among younger consumers, Rindfleisch said. For parents, the takeaway from the research would be “if you’re concerned with your child becoming materialistic, you can certainly try to prevent it, but that’s going to be an uphill battle,” Rindfleisch said. “This intervention is a much better strategy than trying to prevent it altogether,” he said. Rindfleisch’s co-authors are Lan Nguyen Chaplin of the University of Illinois at Chicago; Jeffrey J. Froh of Hofstra University; and Deborah Roedder John of the University of Minnesota. The paper was published in The Journal of Positive Psychology. Editor’s notes: To contact Aric Rindfleisch, email aric@illinois.edu. The paper “The impact of gratitude on adolescent materialism and generosity” is available online.